A femoral neck fracture occurs just below the ball of the ball-and-socket hip joint; this region is called the femoral neck. When a femoral neck fracture occurs, the ball is disconnected from the rest of the femur. The most important issue with my femoral neck fracture is that the blood supply to the fractured portion of bone is often disrupted at the time of injury. Because blood flow is diminished, the fracture is at an elevated risk of not healing (hip osteonecrosis), especially in my case, where the fracture was badly displaced. If the fracture does not heal, a partial hip replacement will most likely be necessary. 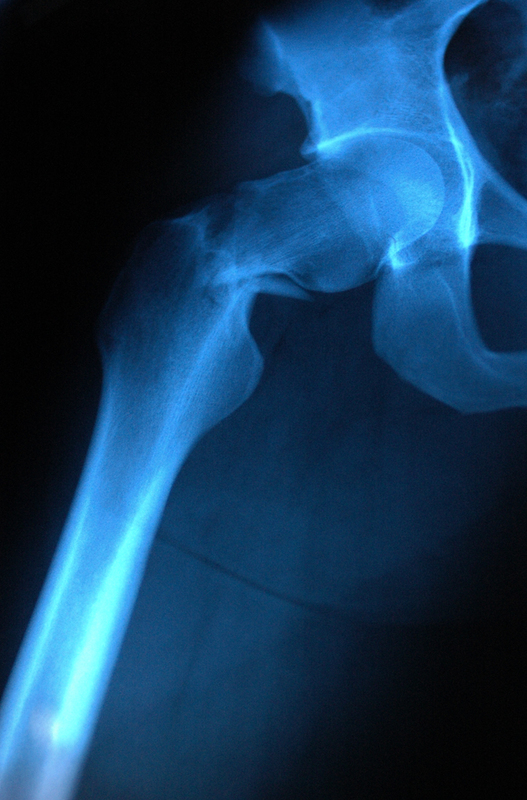 Unfortunately, hip replacements tend to wear out in younger, more active patients. During surgery, a small incision was made on the outside of my right thigh. Using x-ray, the surgeon placed three screws across the fracture in order to stabilize the broken femur. The sad news is, statistically only about 25% of patients who sustain a broken hip return to their pre-injury level of activity. Your committment to serve our country is humbling and even though you may have to change courses, this level of commitment will lead you and our country to greater ends for freedom. Semper Fi! Damn man, I’m sorry to hear that! I haven’t been by in a while and look what happens when I do, get better! That’s an order! That looks painful. I’ve never had a broken bone (that I’m aware of anyway) but that x-ray makes me cringe with unease. Will your femur ever get straight again? I don’t know much about broken bones. Yes, the surgeons re-aligned the femoral neck during surgery and put 3 pins in to hold it together. Hopefully the femoral neck will heal correctly and won’t need replacing. I’ll have some post-op x-rays to upload sometime soon.